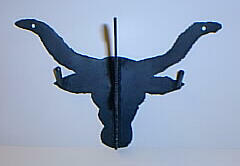 The hatrack on the left has a steerhead back with a 1/2 steerhead attached to hang the hats on....$16.00- Shipping $7.00 The hatrack on the right has a Texas backing with two steerhead halves to hang the hats on...$19.50- Shipping $8.00 Both are for wall hanging. 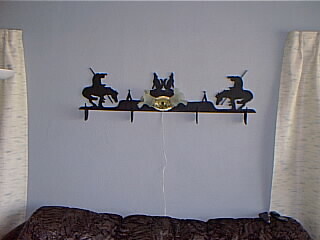 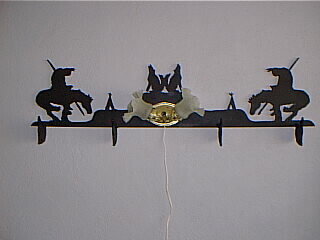 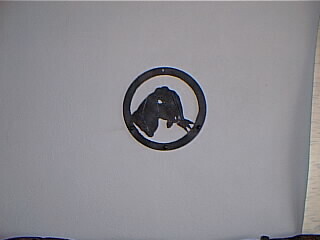 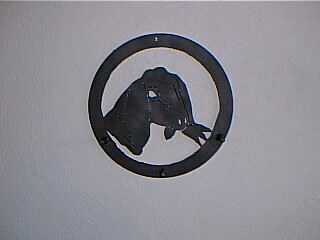 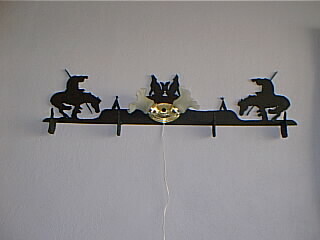 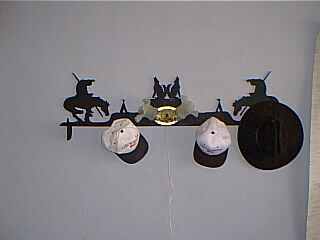 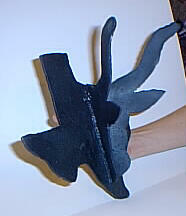 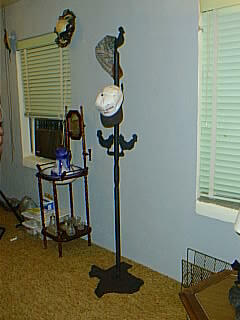 This circular wall hat rack(goathead silhouette) hangs on the wall and has 3 hooks to hang hats or coats on. 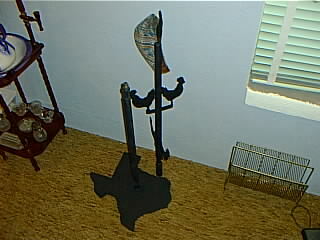 Price $32.00 Shipping $10.00.